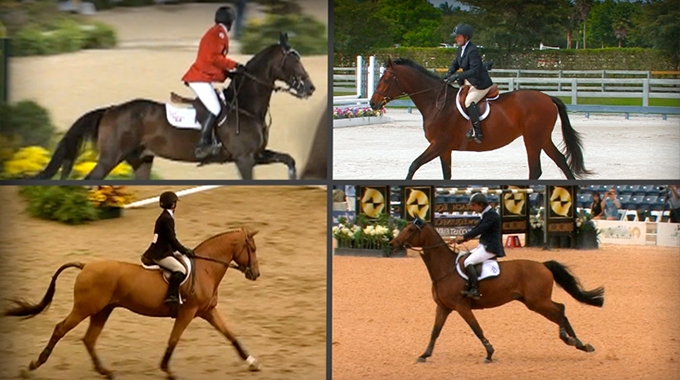 I have a question about rider’s position in regards to conformation of the horse. I ride jumpers and I have a 16 hand gelding who is down hill naturally and his neck ties in rather low to his shoulder. I am finding it difficult to position myself correctly with my upper body and hands. Do I sit taller and a bit more centered with my hands, at what would be a normal height for me, attempting to make him lift up to me, or should I accommodate his short low neck and reach my upper body a bit more forward and lower my hands closer to the sides of his neck? I feel as though when I sit up and lift, he re-balances himself and is able to lift up front, creating a better feeling of him being uphill versus having lower hands and a smaller hip angle, which at times makes me feel as though he is on the forehand… although he does seem to travel quieter this way, perhaps because he isn’t working as hard to carry himself? Sophie I think what you are feeling when you say you “sit up and lift you hands a bit” is on the right track. If his conformation already puts him a bit on his forehand you need to compensate with your position somewhat to enhance his balance. While jumping I would avoid a too forward half seat. Keep your hip angle a little more open than normal and “sink” down a little closer to the saddle in a light seat. You say he travels quieter when you are not sitting, so the light seat is a nice in between over jumps. We have several topics on how and why to vary your hip angle on the flat and over jumps on EquestrianCoach.com that you may find helpful. A member asks Bernie's advice on how not to circle in front of the fence when you don't see a distance to the jump on a green horse. What Is The Correct Seat and Leg Position? 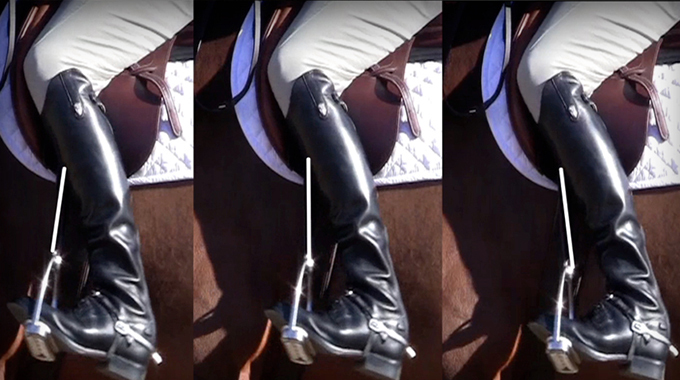 Member "Greengirl" asks for clarification on the correct alignment a rider should have for their leg and seat. 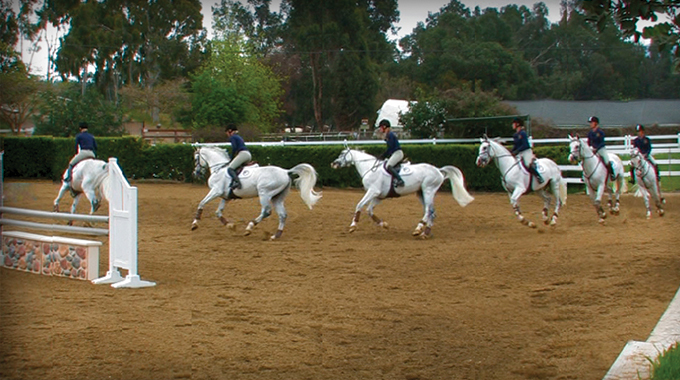 Bernie answers by explaining what the correct "Classical Position" is for jumping disciplines and why many riders are confused by what position they should have. 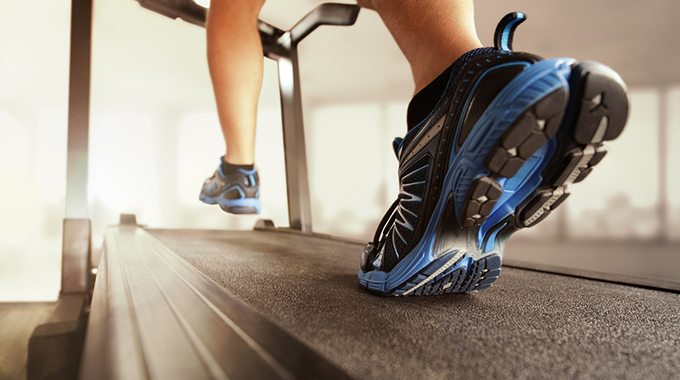 Robin tells us the ideal amount of time we should be spending doing cardio to maximize our results.